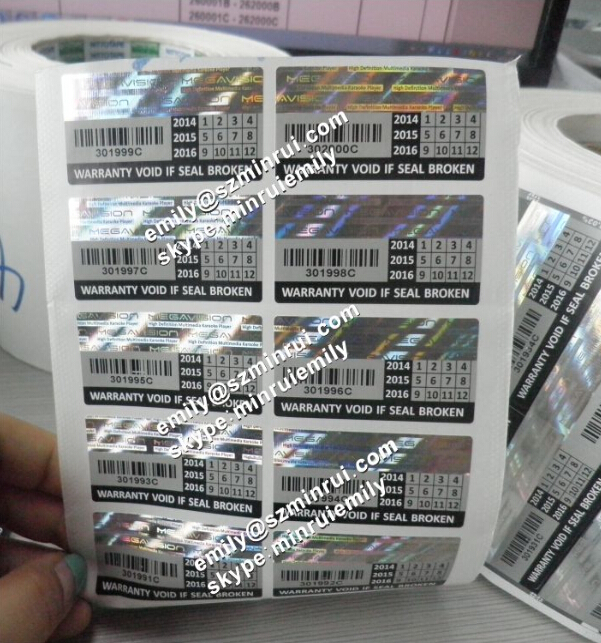 Destructible warranty stickers are tamper evident labels with customized company logo or name printed and also can be with texts: warranty void if seal broken or removed or tampered. Self destructive labels are with very sticky adhesive and brittle paper face, they can only removed bit by bit. destructible eggshell sticker works by adhesive and the face together. Destructible warranty adhesive labels are special tamper evident stickers and will break into pieces once removed. Professional suggestion and valid prices will according to your design ideas, quantity and requests. 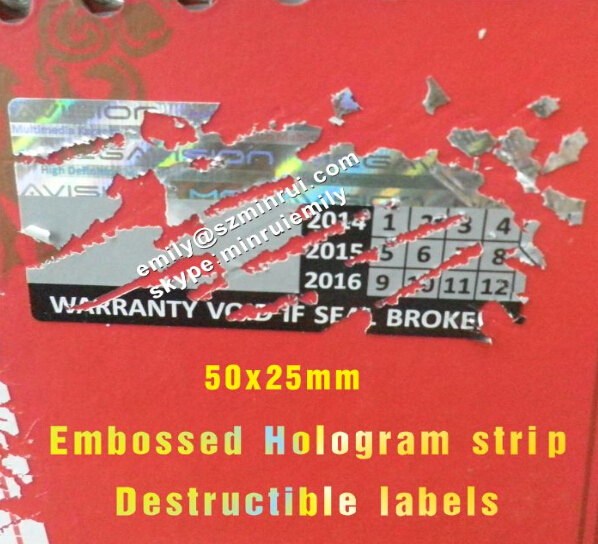 Cutom Special security destructible eggshell vinyl stickers embossed with hologram foil stickers, do not open one time use destructive stickers embossed with holographic foils security seal stickers. The materials can be manufactured into easiest destructible, medium destructible and hard destructible materials according to customers' needs. The smooth surface is suitable for printing process. Resist for aging and high temperature, no crack and no discoloration. 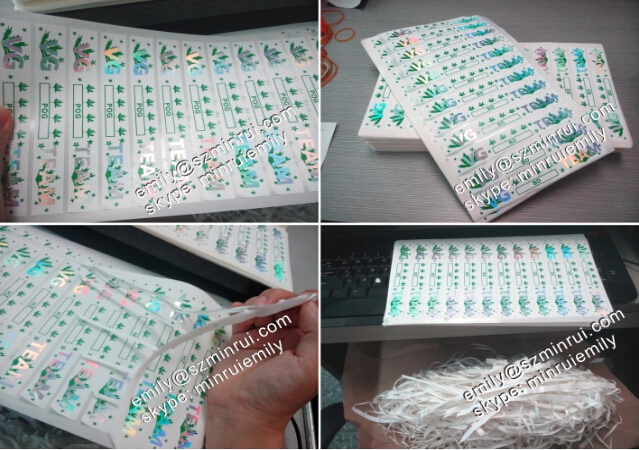 Because we used moderate fragile breakaway destructive labels for these security seal stickers, that fragile level could be embossed hologram strip well enough and could be also removed the scraps among the label gaps. 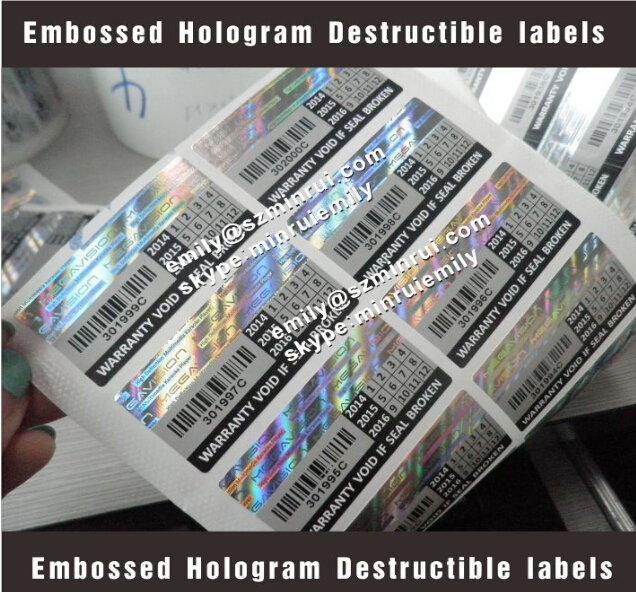 Except the hologram foil shape printed destructible labels, you could also custom the hologram patterns like below as hologram strip stamped on the self destructible security labels. 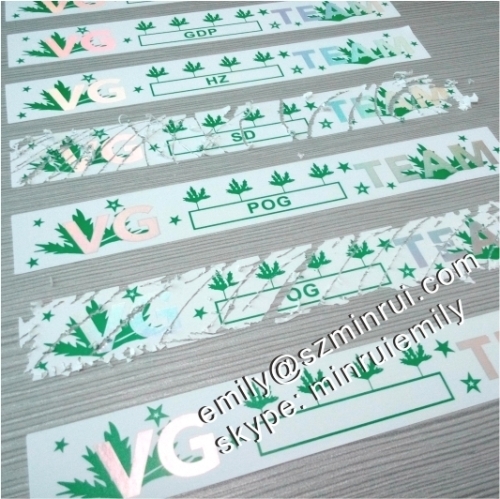 security label papers,our delivery time and quality can be promised. 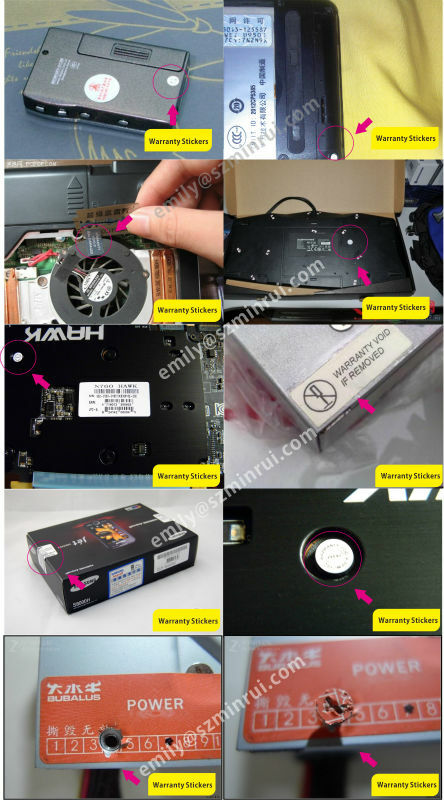 Why using tamper evident void warranty stickers? 1. Prevention from theft and/or counterfeit thus reduces unnecessary potential losses. 2. Increase customer's confidence level towards your company. 4. 100 % Tamper Proof. Various stocks to choose: Various stocks for your different requirements. They are in rolls with inner roll dia size 1" and you could print the barcode and the numbers at home by yourself. 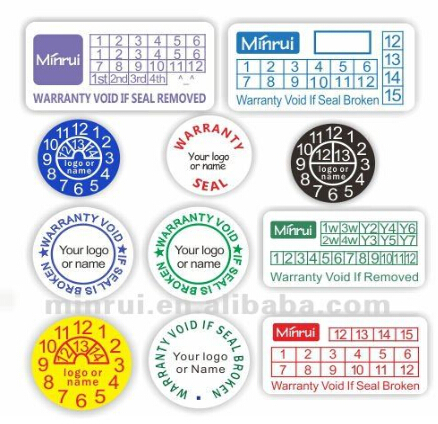 These warranty void screw seal stickers will show the destructible evidence immediately once tampered,and they are usually for keepping your mobile,cell phone or computer or electronics from openning without permitting. 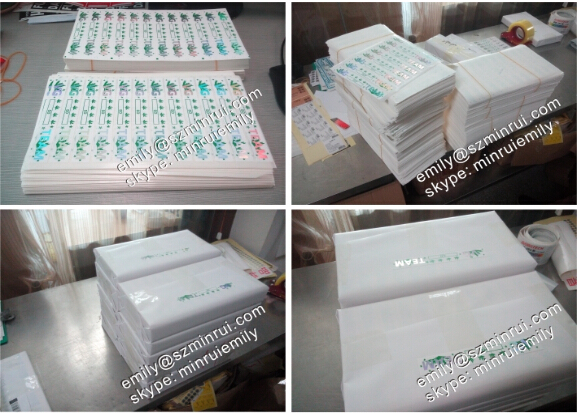 Or for security seal stickers as security packaging seal stickers. Any size or design is ok,just contact with us for the design according to your products size,and your company logo or name! for saving much time of you! If you want to protect your products from tampering,please feel free to contact with us! The design can be customized and we could offer you free design according to your requests! The barcode or QR code or serials numbers could also printed on your labels. 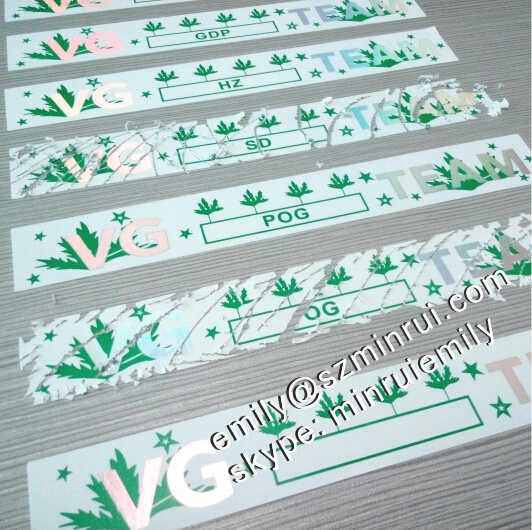 You could also custom blank tamper evident labels for printing by yourself with barcode printer! And size is ok!Please just tell us your maxmum roll size for your printer! 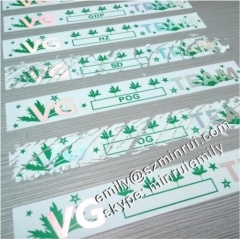 1.Customize your labels with your own size, text, colors, and logo design,such as "Warranty Void if removed", "Warranty Void If Label Removed", "Do Not Peel Off", "Tamper Evident Seal – Do Not Remove", "Security Seal", "Warranty VOID If This Seal Is Broken" with you company name logo, bar codes or serial numbers etc. 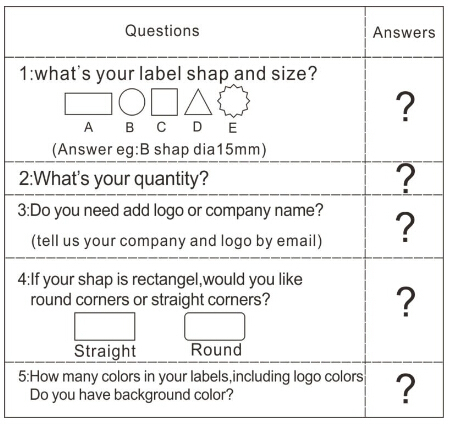 2.Die-cut labels feature unique shapes that are able to produce,such as:octagons, butterfly, rounded rectangular ect. 1)We're a professional manufacturer and leader of destructible vinyl material and own 70% market in China. 2)Our UDV material has its own patent,and the patent number is 01118187.Besides,the UDV material has passed SGS certification and 138 tests from Euopean Union. 3)We have different models of UDV materials and can supply unique security solution for you. 4)We have our own printing company and have 14 year printing experience. 5)We could provide you with free design according to your requirements! 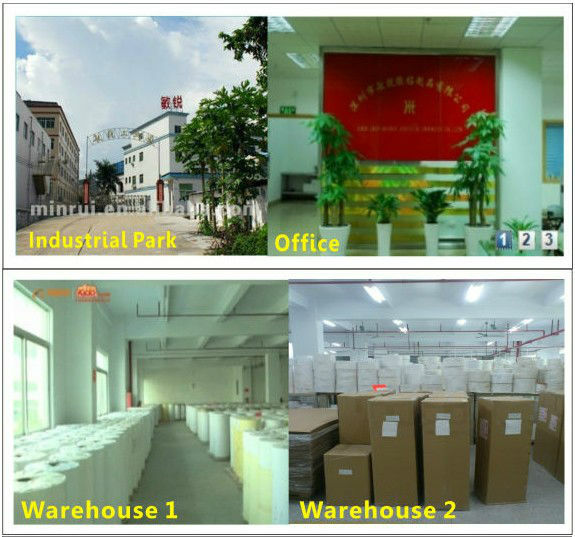 6)Fast delivery and factory price! 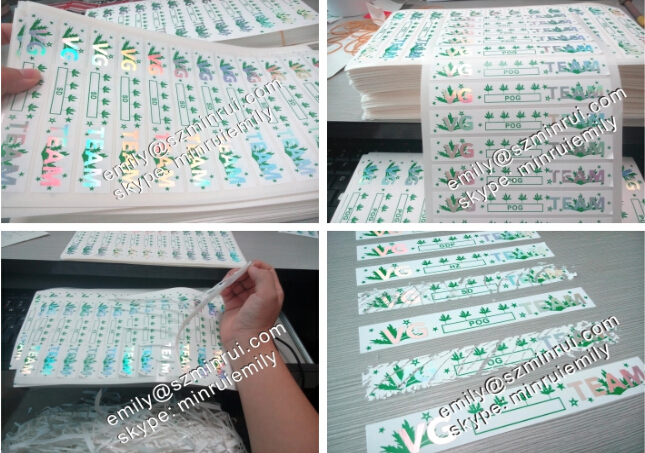 We're a manufacturer of destructible vinyl materials,and we own our sub-company major in doing custom priting for 13 years,we could provide you with high quality and nice price destructible vinyl labels. Destructible Vinyl Labels widely used as tamper evident labels. 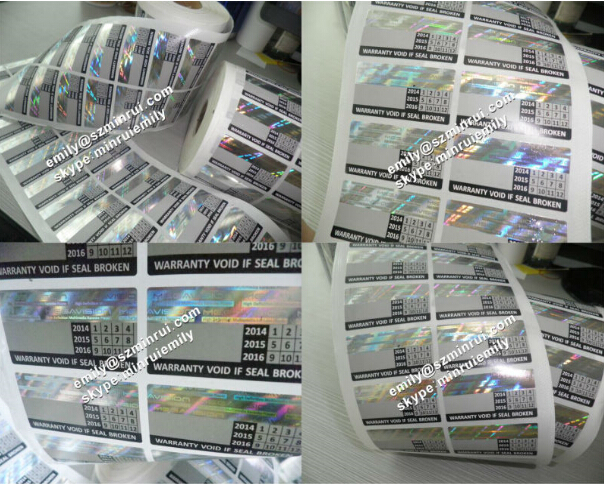 Common uses include asset tracking or warranty marking such as Ultra Destructible Vinyl Asset Labels, Warranty Stickers, Warranty VOID Stickers. If you have any security label printing like this,please feel free to contact with us! We will send you professional quickly reply !